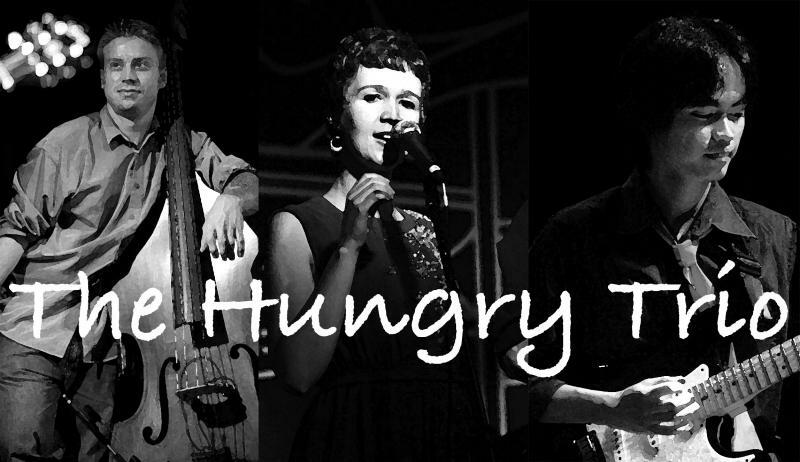 The Hungry Trio are a first class act who have been playing together at various restaurants and clubs around the Sydney area. Three highly accomplished young musicians with plenty of performing experience are waiting to play for you! The styles of music covered by the trio are Jazz, Blues, Funk, R&B, Soul & Latin. Elsen Price is the bass extraordinaire, Zoe Mitsopoulos will sing sweet melodies all night and Vernon Zamora will take you to another world with his beautiful solos. The trio have some demos which they recorded in one take at a friends house, so you can get a little taste of what you're in for! The Hungry Trio play a wide variety of music and are happy to take song requests. Jazz standards to Motown classics are just some of the styles of music these three play. If you would like a detailed set list please contact The Hungry Trio for more info.